The Iteaduino Leonardo is a microcontroller board based on the ATmega32u4, it's 100% compatible with Arduino Leonardo. It has 20 digital input/output pins, a 16 MHz crystal oscillator, a micro USB connection, a power jack, an ICSP header, and a reset button. It contains everything needed to support the microcontroller; simply connect it to a computer with a USB cable or power it with an AC-to-DC adapter or battery to get started. 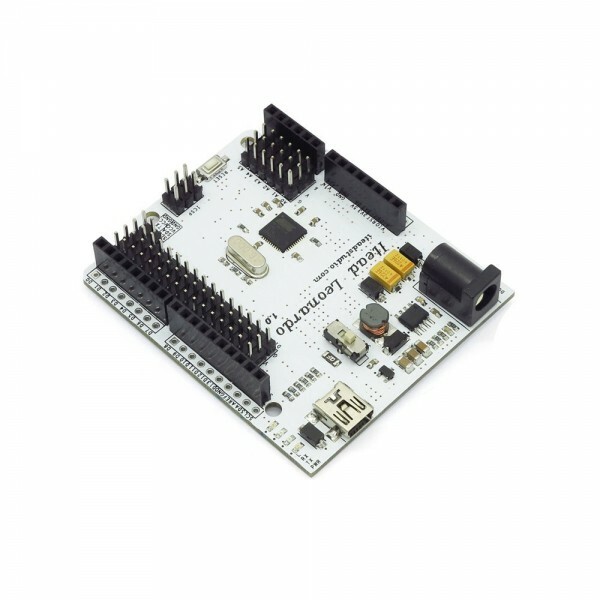 The Iteaduino Leonardo differs from all preceding boards in that the ATmega32u4 has built-in USB communication, eliminating the need for a secondary processor. This allows the Leonardo to appear to a connected computer as a mouse and keyboard, in addition to a virtual (CDC) serial / COM port. It also has other implications for the behavior of the board. For documentation please see http://wiki.iteadstudio.com/Iteaduino_Leonardo.